Withdraw from the course (more formal expression). drop the course (more formal expression) . My brother is majoring in philosophy / My sister’s a philosophy major. 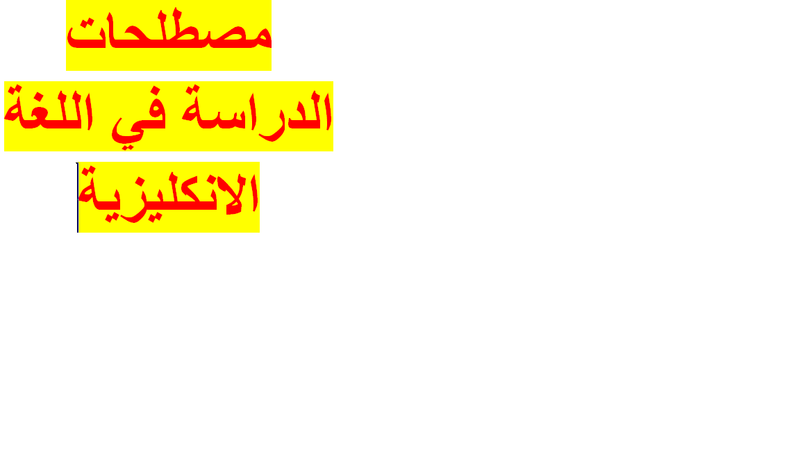 ● قد تحصل على درجة في مجال الدراسة التي تركز عليها ← have a degree in …..
Bachelor’s degree , master’s degree , or doctorate ( PH.D.)…. - I’ve a bachelor’s degree in chemistry. - I’ve a master degree in linguistic. - I’ve a PH.D. in technology .